Dai Hummed to himself as he stood at the helm of his ship. He was relatively excited for he had made it into the His first island visit as a pirate captain all by himself. He felt proud of himself yet there was a feeling of loneliness at this accomplishment. 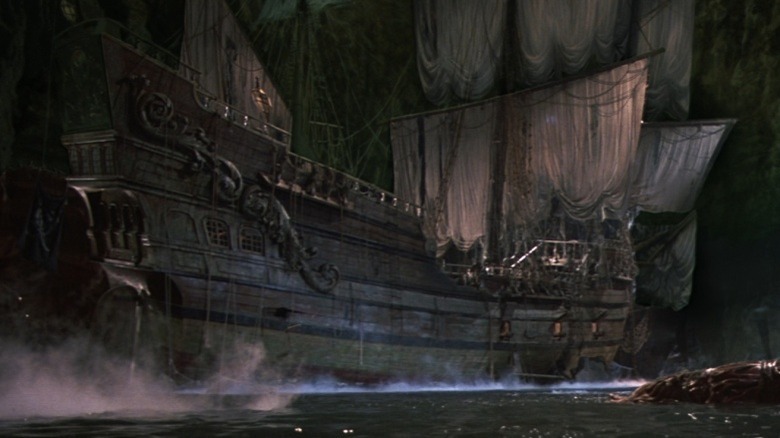 He wanted to get some crewmates as soon as possible it was rather lonely aboard this large ship. He reached into his coat pocket and pulled out a map and checked on the horizon. He wasn't a top-notch navigator but he had enough skill to get to islands without issue but thanks to his log pose he had a good idea of where he was headed. The closest island that he was going to visit and possibly resupply at was named Mock town. A rather unusual name for a piece of land perhaps it had a colorful history to it. He hoped it wasn't, in this case, he enjoyed the warmth of the sun but the desert heat was something altogether a different subject. He looked up towards the sky as he heard an all to the familiar sound of a seagull cawing most likely calling out to his little friends. He wondered where the captain of the ship had gone off to. He had left this ship all alone the poor thing. Well, he was going make sure it had a good home to it. But more than that he was here for one thing and one thing only. Crewmates, he needed muscle for his operation. He was planning. Oh yes, Muscle would more than likely be needed indeed. his brought a small smirk to his face as he drew closer and closer to the island. A particular song kept coming to mind as he hummed a few bars. It was an old pirating song but it was still a good one in his opinion. He slowly began to furl in the sails as a dock came into view. He would let the ocean's current drag him into port. He tied off the sails and stretched out his arms and quickly climbed up the ladder and tied off the sails. After tying up the sails he would slide down the polished metal railing the masts ladder and return to the helm. He chuckled as he continued to hum along with the tune of Bink's sake as he saw already quite a few ships into the dock it was going to be a bit of a challenge to find a free spot but he would manage somehow. The previous ship's owner jolly roger flapped in the air in the crows nest of the first mast waved lazily in the air proudly displaying its insignia as he carefully maneuvered his large ship into a free area. His trademark black cloak with red clouds always adorned on himself even on a summer isle, the collar of his cloak covering the lower half of his face and he was adorning his head a conical straw hat with small ornamental torques and tassels hanging down over his face. He was a wanted man after all and he wanted to remain unnoticed as long as he could. Yubashiri at his left hip as he took refuge in a small tavern and took a seat at the bar. Mashyuu and Harley sat inside the local tavern, Mashyuu leaned back with his feet propped up on the table. His wings had been bandaged up to his back after his near fatal battle at the Gogo Mansion, and his arms were wrapped tight up top on his bicep and shoulder but that was hidden by the black suit jacket that he wore and the white polo he wore under that. His blue eyes masked by red sunglasses watched as the door to the bar opened and a olddly dressed man entered the place. Harley was busy as usual going over a few things she had to wrap up on the island before the pair set off. She wore her normal attire of the white long sleeve shirt with the dark dress over it, at her side on the floor was her medical bag and between them were a few rounds that neither had actually drank. "Who the hell is that?" Mashyuu asked, never before seeing the man in the hat, and after the near month he had spent in town, he thought he knew the major players... or at least most of them. "It's nothing special, just a guy in a hat. Maybe if you are nice he will join your crew too. That would require you not killing him though." Harley said, not even looking up to greet the newcomer while she signed a few pieces of paper. Mashyuu's brow lifted sharply when Harley mentioned something about the man maybe joining his crew. Mashyuu didn't know the first thing about the guy or what he did in life but asking never hurt, besides they were on an island of Pirates and slavers. Quickly Mashyuu picked up his new weapon, named Silver Wind and hung the two hand scythes over his shoulders by the chain that was folded up and connected to the two ends of the weapon. Lazily he strolled over towards the bar and popped a seat down next to Dai. "Hey buddy, name's Mashyuu Ishi. If you would like a free drink, my friend and I ordered more than we can handle. Plus a new friend is always welcome." Mashyuu offered and pointed at the table he was sitting at just a moment ago. Slowly he pushed away from the bar and returned to his seat to sit across from Harley at the rounded table. He lifted a single drink of the seven or so that were there and downed the shot quickly. Dai would take his seat at the bar and tapped his gloved hands against the wood as he would await the barman. He had noticed a few people had sent glances at him and a few murmurs. He would pay no heed to them he had his own agenda on this island and as long as they didn't start anything. There wouldn't be any trouble. He gently slid his right hand down and caressed the handle of yubashiri as he would continue to wait for the barman. his face obscured beneath the tassels giving him a continued air of mystery about him. He wanted that for as long as he could have it. He did, after all, have a high bounty on his head and was not in the mood to play with the locals and ruin his first port in a long time. He slowly turned his seven foot two muscular frame as he heard the sound of a chair being pulled next to him and a little human chose to sit next to him. He continued to tap his left hand on the bar top impatiently. the man would go on to introduce himself to him and he nodded his head politely. "My names dai nice to meet you." He clicked his tong behind his serrated teeth as the man would proceed to offer him a free drink. A tempting offer as he slowly turned his head and stared the man down. "Sure that sounds nice having a friendly drink." he would get up from his chair and push it back into the bar and turn and look around the bar. "Lead the way since you know where your table is after all." he smirked, however, his right hand remained firmly planted on the handle of his sword. A precaution he would make just to be on the safe side. He didn't know these people and he was on his guard it had been a while since he had talked to another person. He followed behind the man and would take a chair from an empty table behind them and sit down keeping his incognito disguise up as long as he could his hood and hat obscuring his face and head and his gloved fingers hiding away his Fishman skin tone. He nodded politely to the women and narrowed his eyes examining the table. "Got any whiskey?" Mashyuu didn't fail to notice how on edge the man was, his hand placed on the pommel of his sword as if he were expecting a fight to break out at any moment. "Glad you have the good sense to join a friend for a drink. You said your names Dai? Where ya from?" Mashyuu asked while the pair moved back to Mashyuu and Harley's table. Casually Mashyuu took a seat and gestured for the man to have a seat, not worried at all about the way his hand remained on the blade. "Calm down partner. Everyone here is just looking to have a drink and enjoy their time. You don't bother them, they tend to not bother you. So, I've been in Mock Town for a while now and you're clearly new. What brings you to town? I hope it's nothing I wouldn't do... Oh, how rude of me. That's my friend and crew mate Dr. Harley Ashes. She goes by the name of 'Striker' from time to time due to her fighting style." Harley looked up from her notes and shrugged her shoulders. "Who're you hiding from?I can smell a runaway." Harley stated dryly. She was more perceptive than most but lacked a sort of tact when it came to social interactions. Everyone was a puzzle that needed to be solved. Mashyuu sighed and pinched the bridge of his nose while shaking his head at Harley's forwardness. "Sorry, she doesn't mean to be rude. Just that there is no reason to hide your face in this town. Hell I'm a winged man and I don't get more than a glance from time to time." Without word, Mashyuu grabbed a dark amber colored drink off the table and slid it across to Dai. "Whiskey is all I drink, so you're in good company." Mashyuu took a drink from his glass and savored the taste for a long moment, letting the trio sit in silence. "You shouldn't be drinking that after you nearly bled out last time. Your shoulder, arm and wing haven't healed up completely and I'm not planing on burning your wounds shut again like I did your chest." Harley snapped at Mashyuu and pulled his drink to rest around her. Clearly it seemed like she had been stealing his drinks before he could finish them. Mashyuu scrunched his face up and stuck his tongue at Harley. "You only live once Harl, so how about you relax a little bit and we can all have some fun." Mashyuu turned his attention back to Dai and nodded at the sword on his waist. "Nice sword, but I'm not gonna steal it. I have no need for it. Look... the reason I asked you over here was because I'm assembling a crew to head to Skypiea. I don't have a ship, and only one person on my crew so far is Harley. But I can tell you have the blood of a sailor. I can't promise what will happen once we are up there but I'm going after a family of slavers. I was wondering if you were interested. Of course it pays if that is an issue." Mashyuu stated bluntly, not really worried about anyone, figuring now that Gogo was down six feet under and his nephew was locked up, the biggest threats on the island were dealt with. He sighed as he looked about and now the questioning had begun about him he should of known better but nothing he could do now since he had agreed to have a drink with them. he somewhat lamented his choice in the back of his head but he would keep up a pleasant demeanor. He would nod his head as the man asked that he said his name was dai. "Yeah that's me, as for where I am from I am from an island off the coast of sabody archipelago in the deep south of it." He chuckled at his little personal joke as he was a Fishman from Fishman island and what to the location of that island being below the ocean off of sabody archipelago. He kept his hand on the handle of his blade even with the words that were directed at him. Oh sure he says its safe but this was a meitou sword. He sighed and untied it from the side and put it on the table in front of him. "I'll take your word for it Mashyuu, a bit of a bad habit I have developed over my travels seems everywhere I go someone wants to try and take a piece of me." He turned his head and gently tipple his straw hat at the women in a gentlemanly fashion. "A pleasure to meet you Dr. striker." He chuckled as she blatantly pointed out he was a runaway. He took a calming breath and repositioned his hat back to its original position. 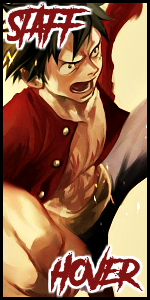 "I am not running from anyone i am but a simple traveling swordsman and navigator." he sighed and shook his head and reached out and grabbed a glass and poured himself a cup of whiskey from the table and gently swirled it in the glass as he unbuttoned the top button of his cloak and proceeded to move at his full speed and drain the glass and proceed with setting it down and rebuttoning it. he lowered his voice to a whisper so only that those at the table would hear. "Meh not bad, as for hiding my face, not everyone is accepting of all races so I prefer to only show my face if I have to plus no offense you are strangers." Pausing for a moment he would refill his glass with whiskey and have it set before him. "Not to mention I have a bit of a bounty thanks so much for that, by the way, world government. Once again he would pause and he pushed back the tassels revealing his black doll-like eyes as he stared at the man and women" also honestly speaking, if you tried to take my sword from me you'd lose that arm if you were lucky." his pupils shrunk an aura of bloodlust surrounded him as he said that but just as quickly as it appeared it would dissipate. He gently reached out his right hand and gently patted the katanas sheath. "Perhaps they keep trying to fight me for this blade and my bounty I'm not sure probably bit of both this is the meito blade yubashiri after not many swords like it in all the world. But, as for this trip, you have my attention since it does involve taking out slaver scum go on and tell me more." "...Well I'll give you this Dai, you're more of a gentleman than Mashyuu is most the time. So you have my approval on that count. You say you're not running from anything... But we are all running from something. Weather you know it or not." Harley replied and cleared her throat. "And please, just call me Harley unless we are in my offices." Harley jested and winked at Dai. Mashyuu on the other hand regarded Dai with a much closer eye. "True, not everyone is accepting of all races. That being said, If we end up crewing up, you're gonna have to share that info with me eventually. But for now I won't press the subject. Better to respect your peers and all that." Mashyuu admitted and glanced at his drinks sitting by Harley. Mashyuu didn't really understand the importance of the sword nor did he care. He wasn't a swordsman in more than occupation aside from Captain. "Aha aha aha! My friend. I promise that you don't have to worry about me stealing that sword. I wouldn't know how to swing it around anyway. These are my weapons of choice..." Mashyuu pulled his hand scythes off his shoulders and let them along with the chain clatter to the table then reached into the scabbard hidden in his sleeve and pulled the dagger from it and planted it into the table as well. "Like I said before. I'm headed to Skypiea. When I was a child I was a slave, along with my parents. They worked their way up our slave masters ranks and became slave hunters themselves, using their new found status to help slaves escape. When my old master found out he had my parents killed. The last thing I saw before being literally tossed off of Skypiea was my mother getting shot in the back while my father was cut down. Can't say that sits well with me and I don't like having a feeling of a looming issue in my mind. I've trained my entire life for this moment and I plan on taking my revenge on Quinn and his family. So will you join my crew and help me with that? I don't know how long this will take but once it's done, I'm going for the title of King of the Pirates. But honestly, when you think about it... its more of the Emperor of Pirates. Kings are born into family and inherent their status. A pirate is going to take that status with his own hands. You say you're a navigator, and it just so happens I need one of those and a third able body is always something I can be happy to have on my side." Mashyuu continued to explain. He glanced back at Harley with a wry grin. "I'd rather keep her out of a fight just in case something happens to us." Quickly Mashyuu reached out and grabbed a drink and held it up to Dai. "Of course you don't trust me yet and must be here for a real reason. So, what can Captain Mashyuu do to win the favor of a navigator?" He asked, never once commenting on the mans odd drinking habits or black eyes, choosing to look past those things and treat him like he was any other person in the world. Mashyuu knew what it was to be judged and oppressed and the winged man wouldn't do that to someone else unless they truly earned that from the dark haired Pirate. He smirked beneath his cowl at the women's comment about how she considered him more of a gentleman than the man mashyuu. "Well, I pride myself on having good manners when in the presence of a lady." He once again tipped his hat to the women in a gentlemanly fashion and repositioned it back. He chuckled audibly at the table as she had asked him to call her Harley outside the office. "As you wish Harley whatever you prefer I will oblige with." He once again smirked behind his cowl as the man known as mashyuu would speak up mentioning if they did crew up it would be nice to divulge just what dai was. He shook his head "Woah there steady I never agreed to join your crew i said you had my attention so slow your roll, you seem like good people first I have seen in a while. If I were to crew up with you then yes I would, of course, divulge just what I am." He cleared his throat and poured himself another glass of whiskey and let it sit in his glass this time around. "King of the pirates huh a worthwhile goal i have a similar goal in mind I hope to be the worlds greatest swordsman and collect all the meitou blades." He paused as the man's tale of how he was a slave as a child the saddest fate he could imagine. He had seen it first hand with his first being taken away. Harpoons rained from the sky impaling his friends the lucky ones would get captured by nets and dragged away. His fist clenched around the scabbard and shook somewhat as his flashback disappeared. "I know full well about how terrifying slavery can be for a child I watched my friends get taken away... no not friends they were my second family." He cleared his throat as he was brushing against a touchy subject of his past. He released yubashiri's handle and gently stirred the contents of his whiskey glass in his free glove hand. "Well, first of all, I have to ask a few questions before I make up my mind and of course something with a reasonable price for my favor." He sighed and set his whiskey glass down on the table as he leaned on the back legs of his chair and began to balance himself. "First of all do you even have a ship, two how do you plan on getting to skypeia it's a sky island." He set his chair back down on the ground and leaned in and crossed his arms. He was serious now and his tone shifted from his carefree attitude to a more formal one. "As for my favor, I'll tell you what if I help you take out those slavers but afterward I want your help on something that is a bit of a personal interest with me if you help me ill join your crew sounds reasonable? Long story short I heard there's a Saijo O Wazamono blade on the island which I highly desire." Mashyuu's eyes widened for a moment and a sort of blush washed over him, Dai was right, the man never agreed to crew up and here the normally close to the vest Mashyuu was spilling his guts. Honestly Mashyuu was a little desperate to find some crew mates before things got too hard and he had to leave the island. If he could find some good men and women now it would make things easier for him in the long run. Mashyuu sighed and settled back in while lifting his hand as a way to apologize silently to Dai. The winged man noticed how Dai grasped the handle of his blade, seemingly shaking with anger all the while, as if Mashyuu's story about being a slave had awoken a sleeping demon. Mashyuu didn't say a word about it though, letting the man deal with his demons in whatever safe way he needed to. "I'm sorry... Maybe one day you will be able to find them and set them free." Mashyuu offered with a soft tone to his voice. It wasn't much but sometimes just a friendly face to talk to was all it took. Slowly Mashyuu leaned in and folded his hands in front of his face and listened. "Greatest swordsman in the world eh? An equally lofty goal and maybe one that is more dangerous, I just gotta find a treasure and claim it. You have to beat the best and remain on top. But hell, I'm sure with enough will power and a good attitude you can do it." When Dai asked his questions Mashyuu's face twisted with a look of defeat for only a moment as he took a deep breath and considered things. "Well I was gonna steal a ship, might still do it. But you came here on a ship right? Maybe you can offer a ride. As for how, there is a stream near by, called the Knock up Stream. When I was a slave, my parents used to always say that if I got knocked off Skypiea and needed to get back, to take it to get home." He shrugged his shoulders and offered a cheeky grin. "That's the plan. But two does not a crew make." He waved his hand back and fourth at himself and Harley. "No clue what that is, but if it's up there I'll help you get it. Then we face the slavers, something tells me I'm not at the level I need to be to take them down. Besides, before I start razing hell I wanna see home first. So, my friend... I think you have yourself a deal. For now we team up and if things go well, we crew up." Mashyuu extended his hand to the swordsman that he wasn't aware could navigate the seas as well. He watched mashyuus expressions change and blush as he had been somewhat embarrassed by his retort. He smirked and once again unbuttoned the top button of his cloak and tilted his head downwards his hat obscuring the vision of the two once more as he sipped on his whiskey and set it down half of it had been drained away. He smacked his lips quietly and slowly lifted his head upwards as the man agreed to his terms. He cleared his throat uncomfortably as the man had paid him his condolences about the loss of his friends. He nodded his head sadly and cleared his throat. "Yes, I to do hope to be reunited with them one day be it in this life or the next I will find them again." He paused a moment and kept his voice only audible to those at the table. "In fact, that's one of the other reasons why I am here following a paper trail but I am usually one step behind." He shook his head as he was rather annoyed by that fact. he clicked his tongue behind his teeth and sighed and resumed to drink beneath his straw hat once again keeping his face hidden. He set the glass down and slowly brought his head up and rebuttoned his collar around his face. "Ahh the knock up stream the most dangerous way to get to skypeia sounds like fun." he chuckled and returned the chair to all four legs onto the ground. "Aye I did come by ship, in fact, it's my own personal ship so yeah I could give you a ride back to your homeland and ill help you I hear there is a city of gold up there in skypeia I would love to see that, no need to worry I'm also a navigator I can get us up through the knock-up stream." He paused for a moment and caught his breath after speaking for so long and would continue to speak "I will tell you what we do your thing then we do mine square deal and all that. I don't mind fighting for my role at all makes it all the more entertaining." He would slowly remove his right hand's glove and outstretch it towards the man and offer to shake it. His pale blue almost white scaled hand rather apparent. he would stare and watch the man and women gauging there reactions beath the tassels of his hat. It seemed a deal had been struck, Mashyuu would trust Dai to get his crew up the Knock Up Stream, and to lend his sword in the fight against Quinn and his slavers and in return, Mashyuu would help Dai find the blade he so coveted. Things seemed in place and the winged man smirked ear to ear, happy to know that at least for now, he had a navigator and a ship to ride on. "See Harley, it's like I say. It will all work out in the end. He's got a ship and is a navigator. Those were the two things we were for sure missing." Mashyuu winked at Harley then looked back to Dai's exposed hand. He didn't let his gaze linger on the scaled and pale blue hand at all, instead he simply reached out, locking his eyes with what he could see of Dai's face and clasped his hand in a firm shake. "Dai, I'm a firm believer in fate. Whatever happens up there, we will deal with it together and in stride." Mashyuu stated with a smile on his face. "And don't worry, I don't care what you're hiding under the rest of those clothes, so long as your a good person for the most part." Harley clasped her hand on Dai's shoulder and chuckled softly. "He doesn't take no as an answer often so I guess welcome to the crew, even if it's just for now." She took one of the glasses next to her and poured the contents into Dai's glass to fill it up again. "Well before we set off, I want to get a few more crewmates. So be ready for that and we can go from there. Plus Harley has to wrap up a few things in town for her clinic. I'd guess we have about a week before we set off. So if there is anything you need to take care of before we go... now's the time." Dai continued to stare down the human as he held his hand out as he listened to the man's apparent form of good luck. he smirked behind his collar as the young man reached out and grasped his hand and shook it. He even gave direct eye contact a good form of respect. He was beginning to like this human. "Fate leads the willing and drags along the unwilling." He smirked and slowly withdrew his hand and began to put his glove back on his exposed hand. He didn't want any onlookers to get a look at his abnormal appearance. He was not in the mood to deal with the trouble he was finally slowly beginning to unwind. He did not want that mod to be spoiled with drunken idiots and racial slurs against him. In fact, he didn't have the patience and would probably start a bar fight if anything were to generally greatly disrespect him. He stretched his shoulders back for a moment and gently placed his right hand behind his neck and felt were he had tapped down his shark fin. He didn't want it popping through be a definite giveaway that he was a Fishman. He nodded his head as mashyuu continued on talking about getting more crewmates before they had set out for skypeia. It wasn't a bad idea, in fact, the more men they had the better off they would more than likely be. Especially with his mission, he had in mind things were more than likely going to be getting dicey. "That's fine we can gather you some more crewmates heck why don't I throw in a tour of my ship since we're going to be traveling on it be nice for everyone to have their own bearings on the ship sound ok to you two?" "Fate leads the willing and drags along the unwilling." Mashyuu smiled at the statement. He already knew that the two were going to get along on a mental level at the very least. "I like that, consider it pirated." Mashyuu chuckled and waved his hand to show he was joking. The man glanced around the room, never moving his head in order to make sure that nobody was watching the pair for too long just to be safe in cause of wandering eyes. It was only then that he realized Dai was suggesting that the three go check out Dai's ship. The winged man glanced at Harley and she simply shrugged her shoulders and collected her things. "I'm in. I've been sitting at this table far too long." Harley agreed happily. "Well, looks like we are gonna check out the ship. Does it have a name?" Mashyuu asked as he stood up and slipped his weapons into the harness on his hip. Once again Mashyuu cast a glance at the patrons of the tavern and sighed happily, knowing that soon he wouldn't be on the island anymore and would be going home. Even if it was for a dark reason, it would be nice to see the cloud islands again. The man ran his hand through his hair and started to walk backwards towards the door. Harley stepped up next to Dai and wrapped her arm around his shoulder. "I don't say this often but I have a good feeling about you. Don't let me down and prove me wrong okay?" Harley stuck her tongue out at Dai and grinned before she let Dai go and skipped out the door. The pair stood outside the door of the bar, waiting for Dai to join them. The Captain of his yet to be completely assembled crew looked over towards the docks and tried to figure out what ship was Dai's but there were always so many that Mashyuu couldn't spot it out in the open. "Maybe we should figure out what our Jolly Rodger is gonna be?" Mashyuu asked while rubbing his chin. "Please, we both know that it would be something girly with angel wings or something." Once Dai joined the pair, they followed Dai to the ship, excited to take the tour of their apparent new home. He smirked and shrugged and let out a small chuckle as the man stated he was going to pirate his saying about fate. "Fine with me just remember where you learned it from my friend." He had enough alcohol to satiate his thirst for now. He wasn't a big drinker anyways unless the occasion called for it. Then he was just a party animal or rather a fish when it came to drinking. He was glad they were going to take the time to explore his ship. It would be nice to have some company aboard it after all this time. Although he wasn't much of a cook he would offer what little he had in the ways of prepared foods. He was glad he had cleaned the ship before he had arrived on the island. He smirked and would sigh as he gently pushed his chair out. He smirked at his little thought beneath his coat and was about to proceed off from the table grabbing his sword from the table and retie it to his hip. He would keep a slow steady pace so he would not lose his new found crewmates. He stopped in his tracks however when he felt someone when he assumed someone grabbed his arm. His eyes narrowed as he slowly turned his head and saw that it was actually, in fact, it was just Harley. His demeanor changed and he blushed slightly beneath his collar. He cleared his throat in embarrassment as she stated that she had a good feeling about him. He merely nodded silently and watched as she would proceed to let go of him and proceed out the door skipping ahead. He remained silent the entire way to the docks as the two discussed there jolly Rodger he shook his head. " No way I'm serving under a pirate flag that is girly." He chuckled as his voice had been one of a mocking but jovial tone. He would look about at the other ships and point to the largest ship by the end of the dock. The ship was a massive 200-meter frigate after all. " There she is lad and lass the ss Chaoron aka the ferry of death. He would walk down towards it proudly and pick up his speed and move towards the crossing plank and head up the steps. "Please come in come in welcome to our new home." "Angel wings aren't girly... It's just what makes Mashyuu stand out. Like a Captain who never took off a hat, would likely use that hat in their Jolly Rodger." Harley explained. The trio walked towards the docks and stopped when Dai pointed out the large, brown ship. Harley smiled proudly at the vessel yet Mashyuu could only look on with a large, gaping jaw. "How many can she hold?" The Captain asked while inspecting the ship from afar. Lazily Mashyuu and Harley follwed Dai up the gang plank of the Chaoron and the dark haired man looked around the upper deck of the ship then up to the crows nest. "How have you been sailing this by yourself? It's massive and seems like it would take a ton of work alone. Have you just been drifting for the most part?" Harley inquired while Mashyuu started to walk around to inspect the ship itself. The man looked down over the rail at side of the ship and scowled. "You chose this brown color or it was the color when you got the ship? I feel like something more regal, like a royal blue or blood red would really make her stand out." Mashyuu knew next to nothing about boats in general but it was clear in his voice that he did care about the place he would be staying the most when not on an island and sometimes when on an island too. "Dai, do we need to find more men and women for the crew before we set off? I feel like the three of us won't be enough." Before Harley could get an answer Mashyuu chimed in. "Of course we need more crew mates. Look at the size of this thing. Not only that but seriously... three against as far as we know, a group of slavers and a slave master? I'm brave, not stupid. Anyway, Dai, take us below deck and show us where everything is. I'd like to get a feel for this place." He was half tempted to walk over to close Mashyuus gaping jaw. Perhaps a most common expression that he had noticed to most people who saw that. In fact, he had a very similar jaw-dropping expression on his face. "Hehe well, let's see she can hold up to thirty people currently." He smiled as he walked slowly back and forth running his gloved hand along the railing on the right side. Perhaps He could lose this shabby disguise now that he was aboard his own ship safely. He paused for a moment and looked out to the sea and removed his gloves one at a time and slowly turned and faced the two. He chuckled as he looked over at Robin as she somewhat sounded impressed with his sailing capabilities to steer a ship of this size alone. " Yes I have been sailing it alone, it wasn' that difficult to be honest I just furled the other sails and let the wind do most of the work." He rubbed the back of his head "No i didn't choose the color of the ship its what it came with and haven't had the time to paint it why whats wrong with the color?" He folded his arms a little agitated by the man's dislike of the color. "Well honestly speaking we could leave whenever we wanted with just us three but as you said you had more crew mates you would like to have so that is completely up to you." He cracked his toes individually in his sandals and gestured towards the office underneath the helm. "Well, this is the main office mostly used for meeting and breaks though I may redesign it to be my private quarters or perhaps we can turn it into our resident doctor's office I wouldn't mind giving it up for that purpose." He gestured towards the main office "as for downstairs mostly crew quarters below deck including tons of storage area I'm sure if we got a shipwright we could convert those into more useful areas perhaps a laboratory or workshop? "He would walk towards the center mast and pull up a trapdoor and proceed down the stairs the ship he would flick a switch and power up the lighting down below and slowly take off his hat and cloak and placing them up on two hooks opposite of the switch. He rubbed the top of his scalp and returned his blue hair into its trademark fin shape and reached behind him and grabbed the trape from his fin and pull it off and winced slightly and sighed a stretched out his back and shoulders "ahh much better!" he let out a sigh and moved a few paces ahead so as to not block the way and placed his sword through his little belt on his left side and would lean up against the back of his wall waiting for the two new members of the ship to come down and join him.